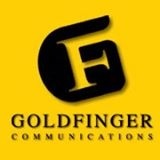 Goldfinger Communications leads the next generation of Israel’s Public Relations and Strategic Marketing agencies. Delivering an entire spectrum of PR, content management and & MarCom services to a vast array of clients from Israel`s top companies, organizations in the public and private sector. The company is a one stop shop for traditional as well as cutting-edge communication solutions designed to meet the needs and specific character of its clients. Goldfinger upholds the highest business standards, and its dynamic team of experienced professionals builds long-term, quality-based associations its clients.